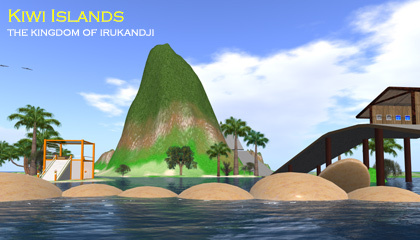 Kiwi Islands was a 4x4 varregion on The Reef Virtual World. 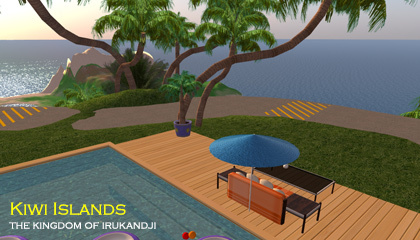 When I created The Reef grid, I didn't want to go into competition with my estate owners, and thus I decided not to build an Irukandji continent there. 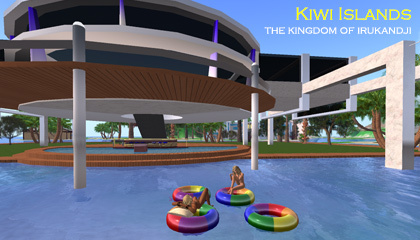 That decision however, created a vacuum as many of my former tenants in InWorldz followed me over and wished to rent land. 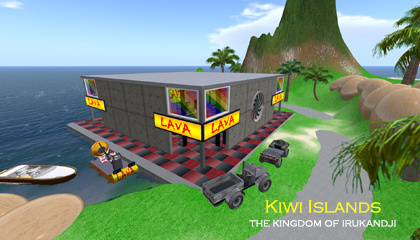 One of my former commercial tenants on Tamita Island, Leah Hammerer, decided to fill that need and set up Kiwi Islands. 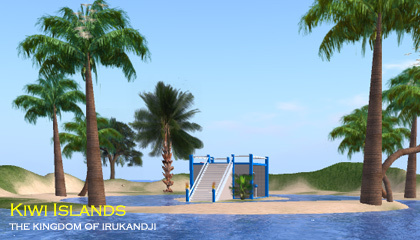 I terraformed and landscaped the island for her, while she took care of the promotion and land rentals. 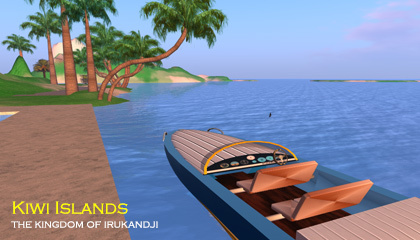 In every sense, Kiwi Islands was part of Irukandji. The culture, covenant, and even most of the tenants were exactly the same. Unfortunately, mid 2015, Leah passed away. I took over the island so as not to inconvenience the tenants. I renamed it Iruka, but the pressures of running a grid plus an estate proved too much in the end. But I did love that sim. 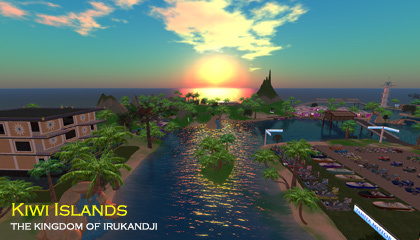 Many of its landscape features have carried over to my new region, Aratura, on the DigiWorldz grid. 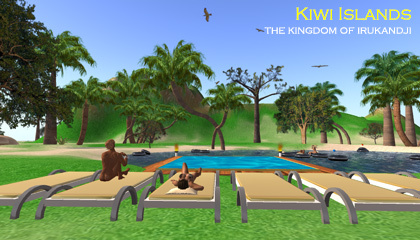 Below you will find some photographs of Kiwi Islands that I took during my travels around the islands.